Additional telephone numbers on the staff pages. Additional email addresses on the staff pages. 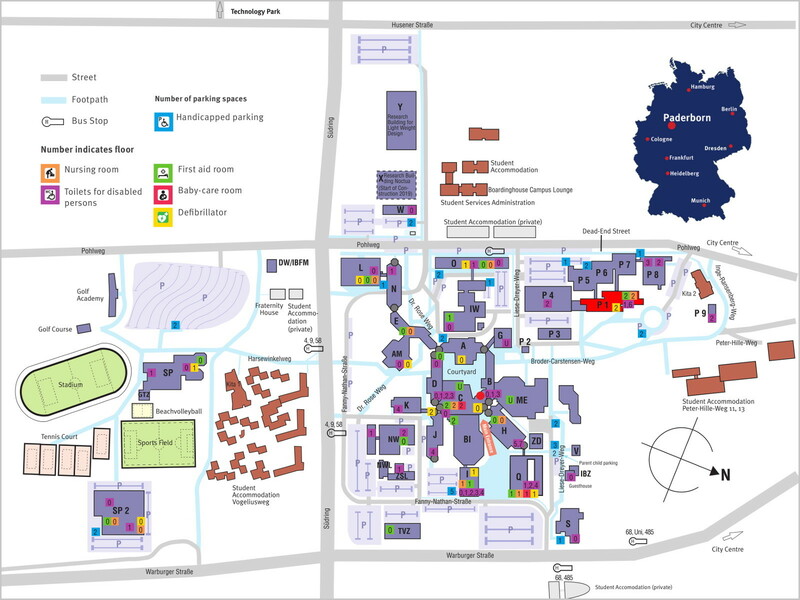 Click on the map to get a more detailed overview. Airport Paderborn Lippstadt (From there take the bus line S60 or 460 to Paderborn main station and then a taxi/bus to the University). 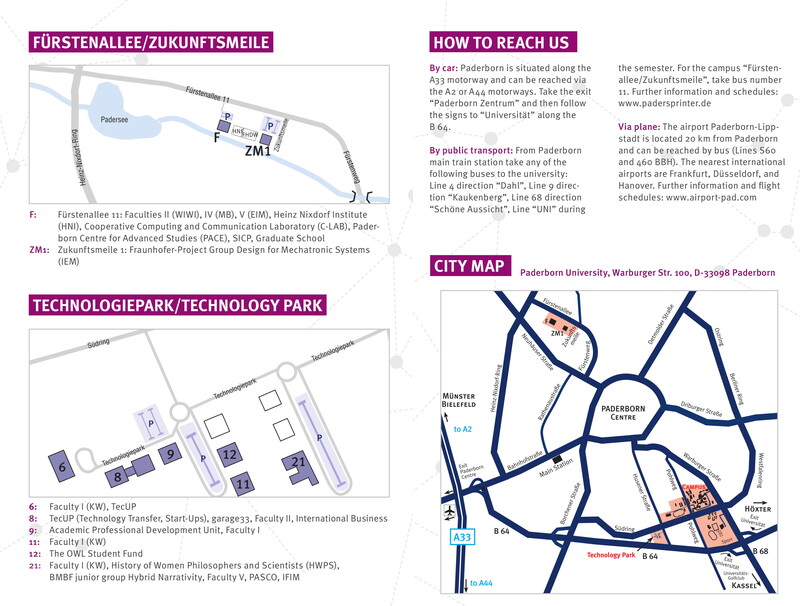 Alternatively: Airport Düsseldorf (From there take a train to "Paderborn Hbf" and then a taxi/bus to the University). 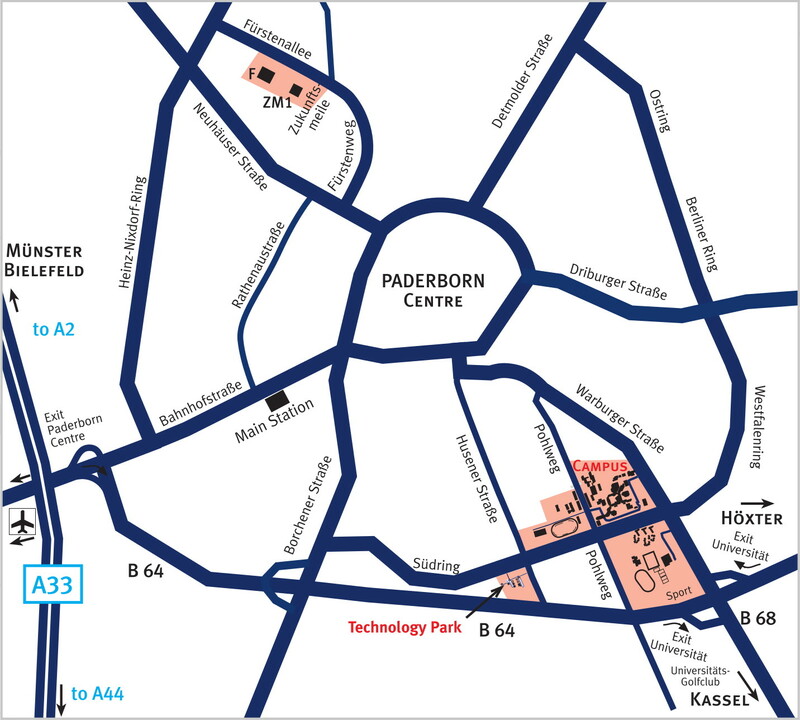 Enter "Uni/Südring, Paderborn" or "Uni/Schöne Aussicht, Paderborn" as destination to receive not only information on the train connection to Paderborn, but also on which bus to take right after you arrive at the Paderborn station.